I love looking back over the past year, and so I thought I would choose a photo or two for each month to sum it all up. Not all of the races had medals- some had t-shirts, or a chocolate santa, but this is I think the 2015 collection! 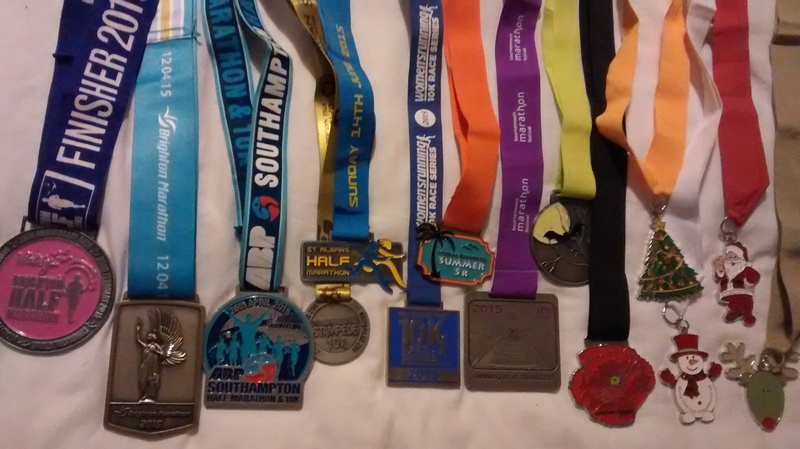 Last year the big race for me was the Brighton marathon, but the “10 miles before Christmas” prep didn’t go well, as I had an awful cough and chest infection, and so hardly ran at all in December. But probably the rest did me good as the training went very well (with a little extra motivation from Jantastic). Marathon training kicked off after about a month of rest, with the freezing cold Fred Hughes 10 mile race. Brighton half! Pb! I didn’t want to push myself as I needed fresh enough legs for my longer midweek runs, so I was amazed that I managed a pb and felt pretty strong throughout. If I had been training for just that race, I feel confident that I could have managed a sub 2 hour half. I will keep dreaming! 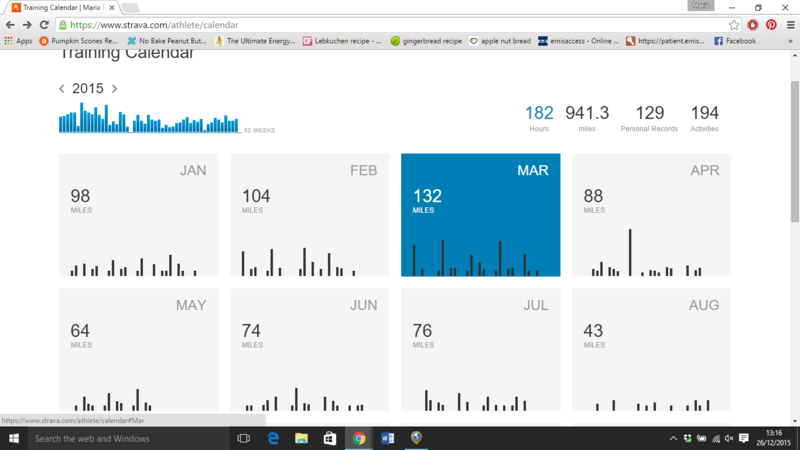 My highest mileage of 132 miles in March as marathon training ramped up. Brighton marathon!!!! I loved it! I was so nervous, but I kept an eye on my pacing, didn’t start off too quickly, enjoyed seeing Andy and my parents in the crowd, and was so proud to get that sub 5 hour goal. Birthday course pb at panshanger parkrun! St Albans half- fairly hilly! This photo is from tail running at Panshanger parkrun. I marshalled, tail ran and did the new runner briefing that month, and won the Sweatshop monthly prize of new trainers too! Awesome! These are identical to my current trainers, so are still in the box for when my old ones die. Me very excited before the Ware 10 miles! There were other runners from the club doing the 10K, and it was so lovely to have some company pre and post race. 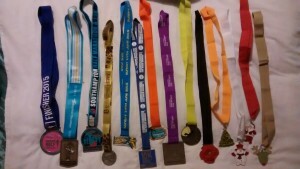 Many runs in Hawaii, including a 5K race. parkrun tourism at the Crissy Fields parkrun in San Francisco! 4th women! 1st in my age category!!! Yes there were only 31 runners (all very friendly) but you have to be in it to win it! Or come 4th! One early morning run, sunrise looking like a fire. Bournemouth 10k. The afternoon time wasn’t the best but I managed a pretty speedy run, giving me confidence to aim for a pb in Brighton later in the autumn. Brighton 10 mile- another pb in Brighton! 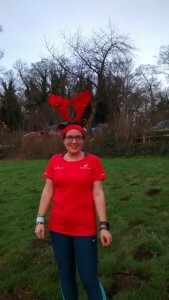 My 50th parkrun, and Panshanger’s first birthday! 10K pb in Brighton! I love Brighton! My 4th Brighton pb of the year! Is that a pb full house? Christmas day parkrun with my brother (and jingly antlers- I found out that if I wedged them into my buff they stay put during running). 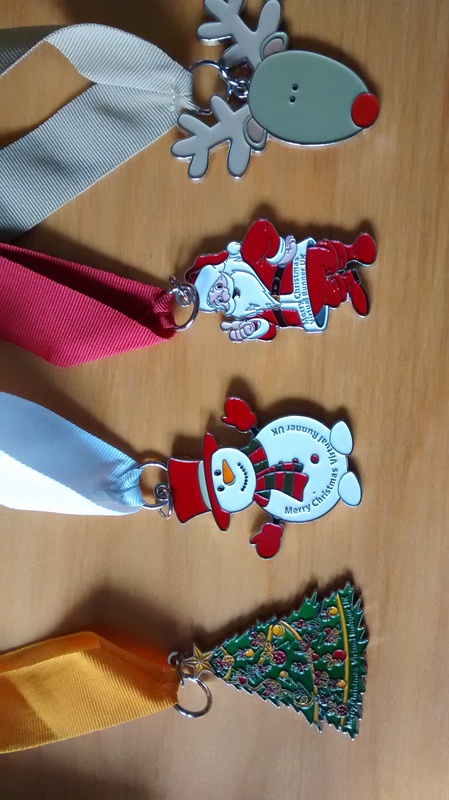 December 5K series for Virtual Runner UK. There have been more races this year (the full list I keep on my Race Calendar page), but that’s plenty to be getting on with. 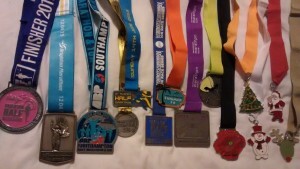 Brighton pb’s for 10K, 10 mile, half marathon and full marathon (full house?). 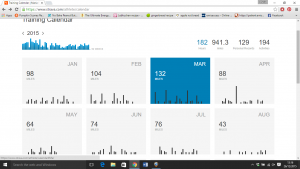 Author Maria RunsPosted on January 2, 2016 Categories Reviews, Running, Stuff I love! What a fab year! I hope 2016 is even better for you! How cute are the Christmas medals!? Yay such a great post full of positivity! I am such a fan of parkrun as well (as you know I’m sure) so hearing about other parkruns always makes me happy. Literally the best thing that has happened to the running world I think. I met someone who didn’t like parkrun the other day (this is a rant in itself) and honestly it got me SO riled up. He said it was a parkRUN not a parkWALK and how annoying it was that people walked it. I argued that does it really matter!? It might be there first ever parkrun or they might have a run-walk strategy! besides, does it matter? But he was super speedy and disliked dodging slow people. Well, take your negativity else where then!! Sorry random rant there… yay for all your Brighton PBs! Er, what? First of all, if you don’t like parkrun, then don’t go to them. No one is forcing him to be able to attend a free and timed event every week! Argh! That would annoy me too. The whole point of them is to get people involved in being active, and who cares if they walk it? Only the tail runner, and they know that might happen. 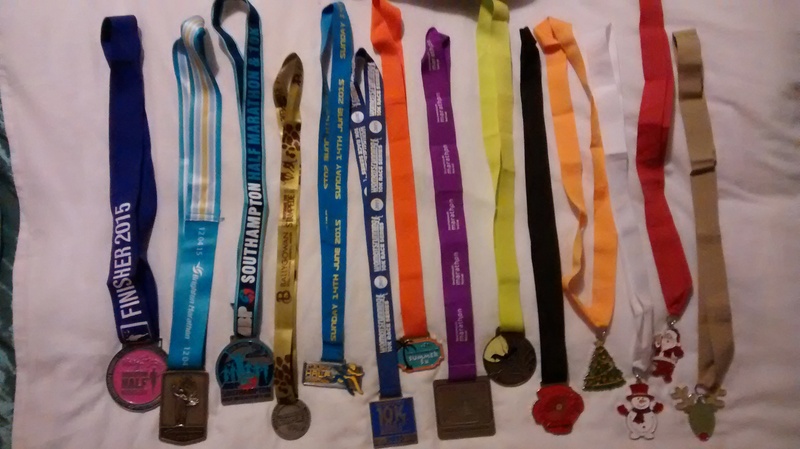 Great year of running- happy 2016. Well most of the photos are when the race has finished so I have my breath back! Thanks!